Great Bank-owned Value! Cute home with 3 bedrooms, 1.5 bathrooms, approx. 1,237 square feet. 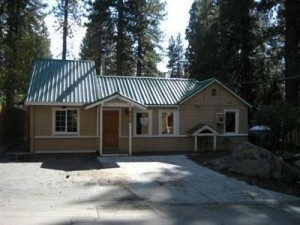 Other features include; metal roof and big fenced in back yard with deck and detached shop/office. Good location just a couple of blocks to the lake. Ideal starter home or investment.